Drivers on the East Coast have a lot of obstacles to overcome. Not only do they have to navigate tough winters, but they must deal with the after-effects of this season as well. In many regions, this includes driving on streets loaded with potholes. Potholes are a common sight in the spring. That's unsurprising, as the divots are typically caused by water that seeps into the pavement, which is unavoidable in the spring as snow and ice melts. According to Hankook Tires Quarterly Gauge Index, about 37 percent of Americans stated that there were more potholes in 2014 than the year before, and 2015 is projected to be even worse. Potholes can cause a lot of damage to your car. Potholes form when water soaks into the road surface and into the ground below the cement, where it freezes again should the temperature drop. This ice expands and pushes the pavement up, leading to permanent shifts in the roadway that eventually give way to potholes. The only solution is to resurface the affected area. "How should you react to a pothole when behind the wheel?" You can report potholes to the state or local government in the hopes that they will be repaired in a timely manner. However, it may take a while before you're back to riding smoothly on the roads, so it helps to know how to effectively avoid potholes. 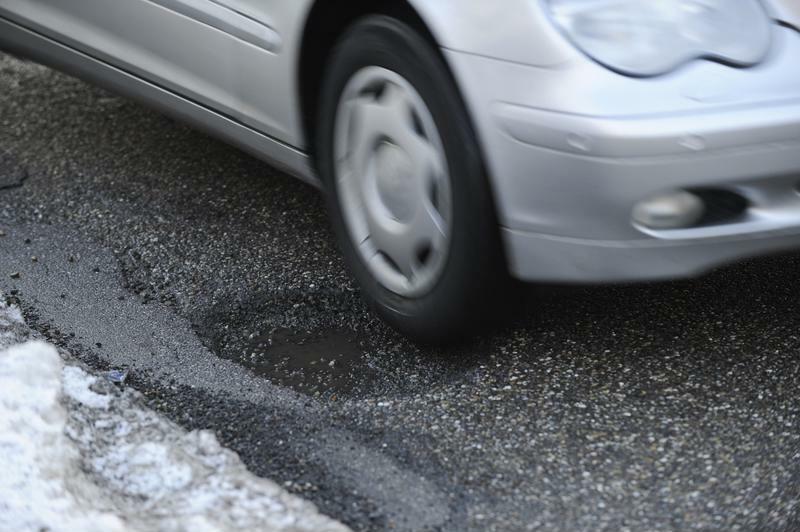 Despite this fact, the Quarterly Gauge Index found that only 14 percent of U.S. drivers know how to approach the pothole problem. Additionally, more than half of these motorists regularly engage in practices that could be doing more harm than good. So how should you react to a pothole behind the wheel? To start, don't swerve. Moving your car around wildly and suddenly can lead to major collisions, especially on busy streets. Your best course of action is to slow the car as you approach the divot. Stay in your lane to increase your personal safety and simply reduce your speed, which limits the force at which your car careens into the pothole. Drivers should also learn how to handle the side effects of running through a pothole. It's common to see damage to tires and the car's suspension, so you should be able to conduct a spot check of these aspects after you hit one of the obstacles. Professionals can handle most of the serious work, but it's up to you to monitor the vehicle's performance and note when an expert may be needed. 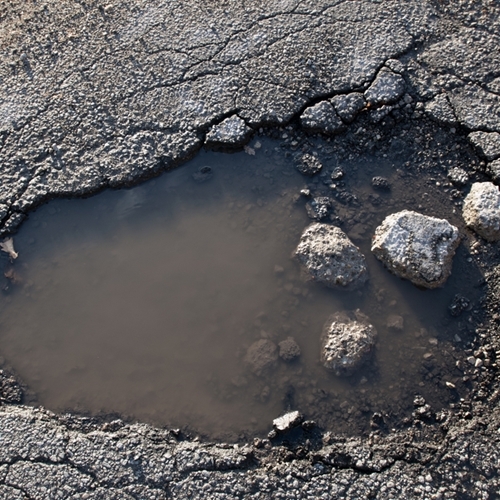 Have you experienced damage due to a pothole? You aren't out of options. Minor problems can be reported to the government as part of an insurance claim, but more significant damage may necessitate the purchase of a used car. If that's the case, head to NJ State Auto to browse through a wide selection of Carfax-certified vehicles. There, you'll be able to locate just the right car for you at what's sure to be a friendly price. Not all used car dealerships are honest. While the team at New Jersey State Auto Auction may be dedicated to getting you behind the wheel of a car you can trust, other sellers are more interested in your cash. It's these less-than-reputable dealers who may try to employ scams or tricks to convince you to invest in a low-quality car. "Spot used car schemes before they get you." But you aren't without power. All you have to do is arm yourself with a bit of knowledge and you'll be poised to spot the schemes before they get you. Here are three tests you can conduct as you're browsing a used car selection to make sure a vehicle is in good shape. While these examinations won't catch everything, they do act as a way to spot some of the most common cover-ups in the industry. You can determine if a car has had any shoddy repairs with the help of the magnet test. Consumer Reports recommended prospective buyers complete the simple process to make sure the frame of a vehicle is safe, and it's pretty easy to do. Take a magnet and run it across a vehicle's doors and fenders. In most cases, the magnet should be attracted to these spots. If it doesn't stick, it could be a sign of body filler or some other subpar patch. Odors can signify a lot of things going on with a car. While most drivers would love to inhale that new car smell every time they sit behind the wheel, the reality is they may sniff something that indicates damage. Check the interior and the trunk for any out-of-place aromas. It's a good idea to brush up on some of the most common smells before hitting the lot to easily identify problems. For example, a musty or damp odor is often a warning sign of water damage, whereas the stench of rotten eggs might indicate problems with the engine. 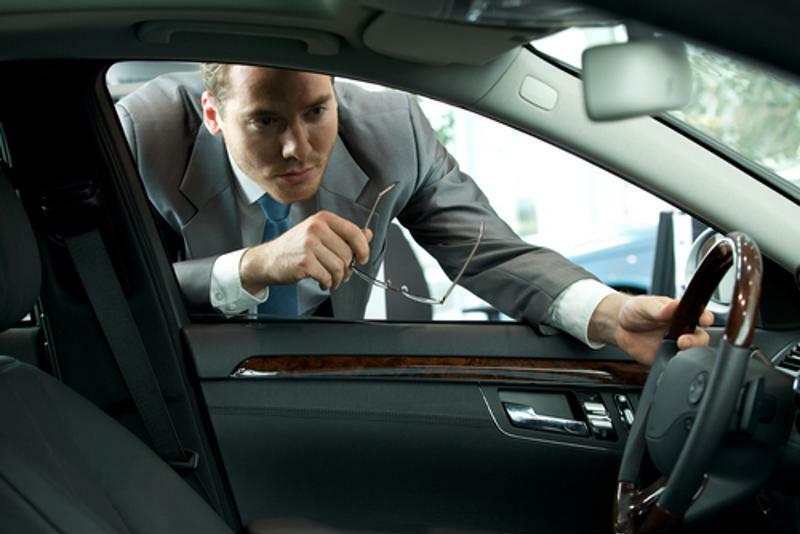 A quick sniff in a car's interior could identify a potential problem. Take a look at the car's tailpipe. Most people might not give this a second thought, but you should set aside a few seconds to scope out the gear. All you have to do is take a peek at the tailpipe and determine how dirty it is. Should there be any type of build up present, such as black gunk or grease, it's a sign that the engine is burning oil. That's not how a car should run, and although there may not be any major damage, it's still a repair that needs to be taken care of as soon as possible. Of course, a great way to avoid used car scams is to bring your business to a reputable facility. NJ State Auto is one such auction lot. You can browse through hundreds of Carfax-certified used cars, trucks and vans to find one that's a perfect fit. It doesn't take a genius to realize that cars are expensive. Even the best deals on used cars can cost thousands of dollars, which means many people are left needing some help to make ends meet. 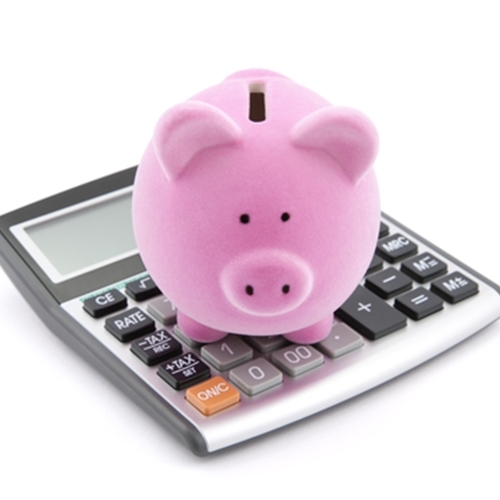 Luckily, there are plenty of financing options for prospective drivers – as long as they aren't afraid of commitment. Shopping for a used car also means hunting for the right financing option. Many people are using long-term loans to pay for vehicles. These contracts frequently extend for 60 months or more, which allows borrowers to keep monthly payments low even if there's a high total sum. Although some may be concerned about being saddled with a loan for this extended period, more are willing to make this sacrifice in exchange for special features and upgrades available on certain models. "Consumers are demanding a lot more technology in their vehicles, infotainment technologies," Ed Kim, an analyst with AutoPacific, told NPR. "There's also a lot more safety features that are in vehicles right now. Emissions and efficiency technology that are in vehicles right now, that are making vehicles cost a lot more." The thought of having a loan for years is daunting for some, but in today's economic landscape, many people view it as the norm. A spokesperson for Experian Automotive told NPR that these agreements often make sense for drivers on tight budgets and are specifically chosen for the benefits they provide. Cars.com noted that people tend to "payment shop" with car loans more than any other product. That means most drivers are willing to look around for the right deal and make some concessions to find the right balance of car quality and payments. However, anyone who wants to do this must come to terms with a few simple facts. For example, interest rates on long-term loans tend to be higher than those associated with shorter agreements. While the individual payments remain affordable, the total amount of interest paid will likely be greater. This fact turns some people off from longer loans, but for others, it's merely a necessary part of securing the perfect used car. 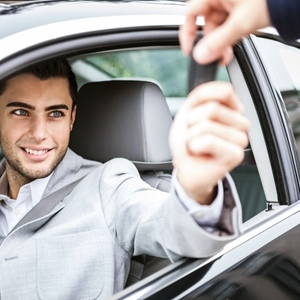 People are willing to negotiate to secure the perfect long-term car loan. If there's still more you want to learn or if you're ready to commit to a vehicle, then you need to head to the right facility. Consider starting your journey at NJ State Auto Auction. Our lot contains hundreds of Carfax-certified used cars, trucks and vans that are just waiting for the right owner, and you can get behind the wheel quickly and easily with the help of an auto loan. We even have an in-house financing department, which is composed of individuals ready and able to secure you the best possible loan. They can even answer any remaining questions you may have about long-term loans. With guaranteed credit approval and same-day processing, these experts will have you driving off the lot with your dream car in no time. 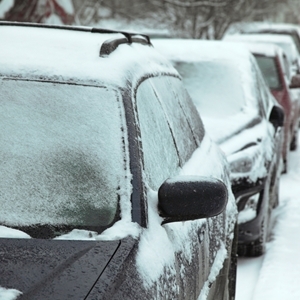 Winter may not be the most fun season, especially when you consider how the weather wreaks havoc on your car. Snow and ice increases the risk of accidents, road salt rusts the exterior, and freezing temperatures may cause damage to other parts of the car. All of that makes driving in spring particularly precarious, especially when the rains come, the ice melts and roads get slick. Many drivers decide to celebrate the return of spring with a road trip to warmer climes. That's a great way to get back into the swing of good weather, but it can place a lot of stress on your car. Odds are your vehicle needs a little care before racking up the miles, which makes a tune-up or professional check a priority. "Spring break time is finally here. While jumping in the car and heading to a warmer climate may sound like a great idea, don't forget to make sure your car is road ready before you go," said Rich White, executive director of the Car Care Council. "A pre-trip vehicle check will give you peace of mind because you can take steps to have any needed repairs performed before you go." 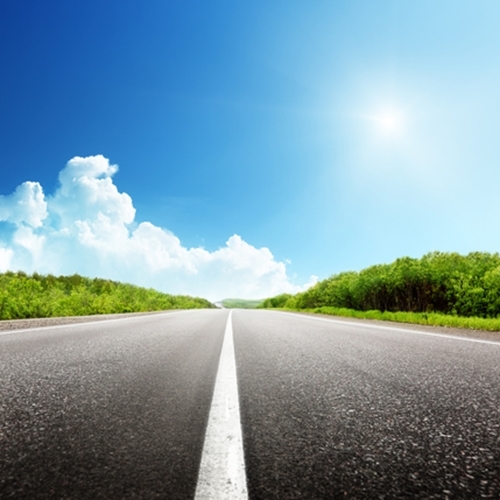 Make sure your car can handle the road before heading on a springtime trip. Preventing breakdowns doesn't have to be difficult. Most problems can be avoided with a few simple repairs or updates. The Car Care Council recommended drivers take a look at the brakes to ensure they are operating at a high level. You'll need these gears to be working so you can come to full stops on wet spring roads and respond quickly to wild animals or other road obstacles. Next, be sure to check under the hood to guarantee all belts, hoses and tubes are intact. Cold temperatures can make some of these materials brittle and could lead to tears or fraying. If one of these breaks completely, it could leave you stranded, but it's easily avoided with a little forethought and a fast replacement. 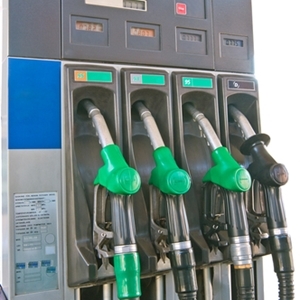 While you're at it, examine the gas cap and fluid levels in the automobile. Refilling any liquids and checking for leaks is a quick task that can prevent major issues later on, according to the Car Care Council. 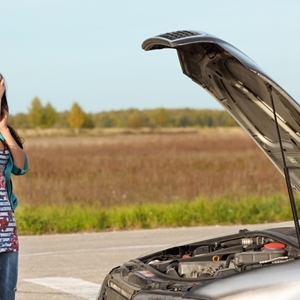 Don't be stuck with a broken-down car this season. "Even the most vigilant car maintenance won't help if your ride is past its prime." Even the most vigilant car maintenance won't help if your ride is too far past its prime. If you've had it with costly repairs, aggravating breakdowns and subpar driving performances, it's probably time to embrace a new beginning and get behind the wheel of a used car. New Jersey State Auto boasts a wide selection of Carfax-certified used cars, trucks and vans, any of which could be perfect for you. Purchasing one of these high-quality vehicles doesn't have to break the bank either. Our facility has an in-house financing department that can help you secure an auto loan or credit approval quickly and easily. Many people need auto loans to complete the purchase of a used car. That's especially true for subprime buyers, or those who may not have credit scores as high as they would like. While many of these drivers may initially think a quality vehicle is outside of their budget, the prevalence of subprime auto loans changes the landscape. Subprime borrowers have many options when it comes to securing auto loans. LendingTree, an online loan marketplace, recently released a study detailing the state of auto financing in the U.S. According to the report, the average credit score for people with car loans increased by 10 points throughout 2014, even as the number of subprime loans grew. Although the sheer volume of outstanding loans is increasing, lenders are still being careful about who gets these financing options – which ultimately means the so-called "auto bubble" isn't going to burst. "Our data does not substantiate the likelihood of an upcoming crisis," said Rick Finch, the general manager of LendingTree Autos. "While the current concern over subprime auto loans that end up defaulting is reminiscent of the mortgage meltdown stemming from mortgage backed securities, the defaults are being monitored and controlled by the lending market. Although auto backed securities increasingly contain subprime loans, loan defaults are not rising at a rate that signal imminent danger." "Lenders are more accepting of subprime borrowers." Some borrowers may hesitate after hearing the total sum of auto-related debt. According to The Fiscal Times, Americans currently have $886 billion in outstanding car loans, which is almost 23 percent higher than it was two years ago. Although the numbers sound daunting, all of this growth is good news for potential buyers. Lenders are more accepting subprime borrowers, connecting them with loans that get them behind the wheel. There are also many opportunities for borrowers to save money over the course of their car ownership. The Fiscal Times noted that interest rates are low, at least compared to recent history, and gas prices are declining compared to the past few years as well. This steady market makes it the ideal time to buy used cars, even if you need the help of an auto loan to make it happen. Check out the wide selection of used cars at New Jersey State Auto Auction. Not only does this lot have hundreds of Carfax-certified vehicles, but it also boasts an in-house financing department that can help you secure the loan you need to afford a car. 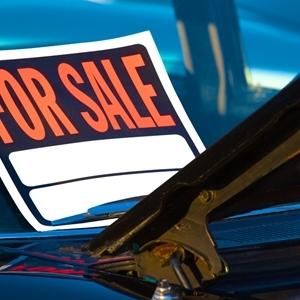 Is now the time to act on a used car deal? If you've been thinking about purchasing a vehicle, you may want to get serious, as this month could be a good one for prospective buyers thanks to a combination of nice weather and lower prices. The NADA Used Car Guide noted that this past winter was harsh, especially throughout the month of February. The East Coast was pummeled with snow and ice, in addition to frigid temperatures, which made it hard for some car lots to move merchandise. 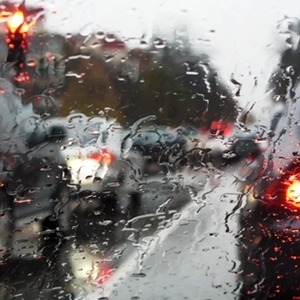 "Since the inclement weather possibly prevented dealers from attending auctions – and customers from commuting to dealer lots – demand wasn't as strong as it usually is in February," said Jonathan Banks, an executive analyst with the NADA Used Car Guide. "As a result, prices were almost a full percentage point lower than the historical average we've tracked since 1996 … consumers should know the savings trend won't last for long, as pent-up demand and tax refund checks will fuel spring season purchases." According to the NADA Used Car Guide's March report, used luxury vehicles suffered the most from the winter season. The segment saw values decline by an average of 0.5 percent, with luxury compacts dropping 1 full percentage point. Other options you may be interested in, such as non-luxury compact cars or midsize SUVs, experienced a small increase of 0.7 percent. That's about half of the original prediction, the Used Car Guide reported. 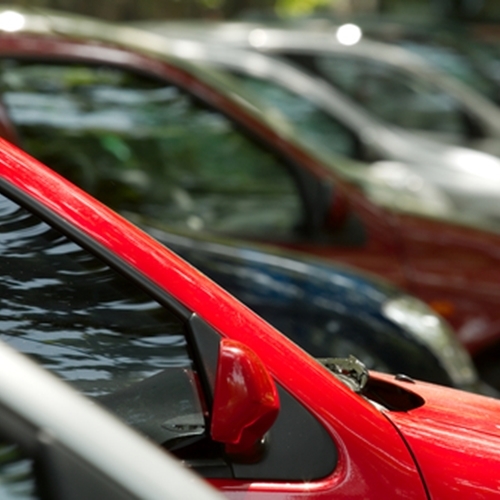 Overall, the jump in used car prices was relatively consistent across all segments. There was also an increase in the volume of used cars, meaning shoppers have plenty of choices to consider without bashing their budgets. More options may be hitting the market soon as well. Eager drivers may be ready to ditch their older models in favor of some fresher vehicles this spring. Are you convinced yet? March may be the perfect time to get behind the wheel of that used car you've had your eye on, but you need to be smart about your purchase. Start by turning to a lot you can trust, like New Jersey State Auto Auction. This facility boasts hundreds of Carfax-certified used cars, trucks and vans, providing you with a wide selection at prices you can afford. Used cars are a valuable commodity. Not only do they provide a way for people to get where they need to be, but the vehicles are often a smart financial investment. Before you take the leap, however, you need to be sure you're purchasing the right car. This starts with lots of preliminary research. Below are five areas you should look into prior to signing off on a purchase. The first place you should go to conduct research is the seller's official website. For NJ State Auto Auction, for example, you can go online and browse through the full collection of used cars for sale. Look over the hundreds of Carfax-certified cars, trucks and vans to find a few options that pique your interest. Then you can plan for test drives and get a head start on financing, as the site allows you to begin the registration and bidding process. According to the Traverse City Record-Eagle, checking out technical service bulletins could be a smart move for many shoppers. These documents are released by manufacturers to inform drivers of any problems. They aren't as serious as official recalls, but they often involve important issues you should know about. Although the car you're considering may be used, you should still head to the manufacturer's website to check out the initial specs. This will give you a better idea of the technology and features available. It can also make it easier to compare the original version with the one you're thinking about buying, allowing you to scope out any areas where care may have lapsed over the past few years. You should also take a moment to research reviews from other drivers. This feedback provides insight as to what you can expect with regard to future maintenance and repairs. It could also let you know what to look for when taking test drives. Once you've researched what people think of the model in general, you should do a little more digging into the background of the specific car you're considering. 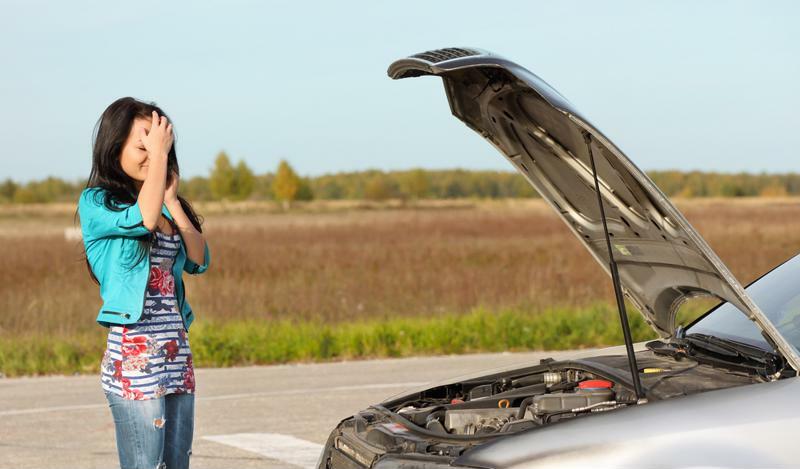 Carfax and similar organizations can provide a look at any past accidents or major repairs. While the right servicing may have made some of these events a non-issue, it's best to know what you're dealing with before you buy. One of the biggest expenses related to car ownership is insurance costs. Drivers need to be protected on the roads, and insurance is the only surefire way to keep you covered. Unfortunately, this necessary policy can be quite expensive, and if your credit score is worse than you'd like, it could cost you even more. 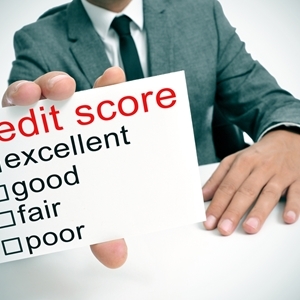 Credit scores play a role in your insurance rates. But credit history is just one of many factors that impact insurance premiums, along with your driving record, location and other financial details. Esurance noted that many companies use credit-based scores to evaluate how likely you are to have an insurance claim in the future. Numerous studies have shown that this figure is relatively accurate when it comes to predicting your risk for an accident and the following claim, so it makes sense for providers to consider this when deciding on insurance premiums. Of course, insurance is only the tip of the iceberg when it comes to how a credit score impacts the bottom line. Your history will influence the type of auto loan you qualify for and what your interest rates are. You can improve your credit score in an attempt to make these other expenses more palatable, but it's going to be a slow process. Focus on making payments on time and eliminating debts as you can. In the end, this effort may even be beneficial to your insurance rates. Because your credit score does matter when it comes to car insurance, you're going to want to put yourself in the best position possible before buying a used car. However, drastically improving a credit score can take a lot of time. If you need to get behind the wheel quickly, you may have to look to other resources that will help you save. That's where New Jersey State Auto Auction can help. This auction lot is home to hundreds of Carfax-certified used cars, and many of these options are available at low costs. People with less-than-ideal credit scores can find affordable vehicles with the help of the on-site financing department. The team of experts can get you guaranteed credit approval regardless of your credit history, securing you the loan you need to afford a used car. Young drivers have a lot to learn on the roads. One of the most important lessons involves safety, but this goes beyond defensive driving habits and fast reaction times. 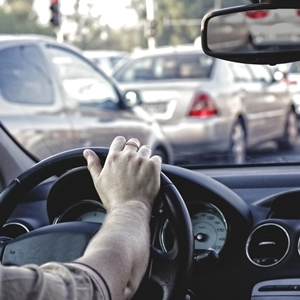 Motorists – especially relatively new ones who face a high risk for accidents – must also prioritize getting behind the wheel of used cars with plenty of effective safety features. 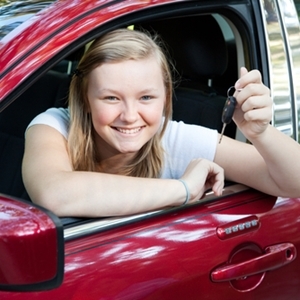 Consumer Reports recently released a list of the best used cars for teens. The vehicles all sell for less than $10,000 and come equipped with some of the best safety features on the market, making the automobiles smart choices for any family. According to the source, some of the most important features include electronic stability control. The main benefit of ESC is that it keeps the car on the road in situations where a rollover may be possible, which is often the most dangerous type of accident. In addition to secure seat belts, ESC is one of the most important amenities a car can have. Buyers should also look for vehicle with side and curtain air bags. Updated brakes and a strong frame are also important aspects to consider when shopping around. So what are the top cars? According to Consumer Reports, Ford is a solid automaker to consider. The 2009 to 2011 Ford Focus, for instance, is a fuel-efficient vehicle loaded with amenities, but it stops short of offering overly distracting features. 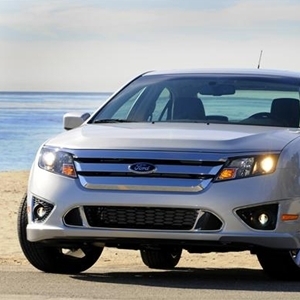 A Ford Fusion from 2010 to 2012 could also be a smart choice. Consumer Reports noted that this is a straightforward vehicle that is capable of getting the job done without overcomplicating the driving experience. Other options include the 2010 to 2011 Kia Soul, the 2006 to 2014 Hyundai Sonata, and the 2004 to 2012 Toyota RAV4. Each of these models provides drivers with the safety and performance features they need to handle the roads while also offering low price points. If you're looking for quality used cars at low prices, check out the selection at NJ State Auto Auction. The lot is home to hundreds of Carfax-certified used cars, trucks and vans, many of which are equipped with top-notch safety features. Many of the automobiles on sale have a sticker price of under $10,000 as well, giving young drivers and their families many opportunities to save money without giving up quality. Is A Long-Term Auto Loan Right For You? You may know that you want or need to buy a used car, but figuring out how to afford the purchase isn't as easy. There are many options for drivers to consider, with things like interest rates, monthly payments and insurance premiums playing a role. One of the biggest financial factors drivers must consider is the term of the auto loan. Not only does this determine how long you'll be paying off debts, but it also has a significant impact on the bottom line. If you're ready to get behind the wheel of a used car but need a little support in the form of auto loans, make sure you're considering whether a long-term option is right for you. Taking out a long-term loan has some advantages. The main benefit is that you'll be able to keep monthly payments down. This is ideal for people who may be sticking to a strict budget, as each month will have smaller payments than those associated with shorter loans. Subprime borrowers may be particularly drawn to long-term auto loans. They can take advantage of the smaller payments without sacrificing the quality of the vehicle, allowing them to stay safe on the roads. However, just because a long-term loan may lead to manageable monthly payments doesn't mean it's the best bet for you. USA Today noted that longer loans usually use higher interest rates, which increases the bottom line for most borrowers. So while monthly payments may be lower, the total sum paid at the end of the experience is higher. Anyone concerned about this figure and how it impacts them should think twice before signing off on a long loan. Similarly, people who don't want to be tied to one car for an extended period of time will want to capitalize on shorter loan terms. That allows them to quickly pay off debt and have the freedom to move on to other used cars. Regardless of what you think is right, make sure you're taking the time to talk over your options with a professional. The team of experts at NJ State Auto, for example, can help you sort out the pros and cons of each offer, ultimately choosing the deal that makes the most financial sense. Posted in Auto Loans & Financing News | Comments Off on Is A Long-Term Auto Loan Right For You? People of all ages may need a little support when it comes to buying used cars. After all, it's a big investment, and it often requires assistance in the form of loans and special financing options. Millennials are just one group using these methods to get behind the wheel. One common myth is that young people, referred to as millennials, are not interested in making big purchases. While it's true that these consumers may have different shopping habits than their predecessors, they are still looking to get behind the wheel. In fact, a recent study from TransUnion found that people born after 1981 are among the fastest-growing groups of drivers. While this age group may be buying cars, they still need some help. Many are using auto loans to swing a purchase. TransUnion noted that the total outstanding auto loan balance for millennials grew 23 percent in the past year. Individual loan balances also increased 4 percent, reaching an average of $18,678. "The growth in millennials' auto-loan originations dispels the common myth that millennials are not buying cars," said Jason Laky, senior vice president and automotive business leader for TransUnion, in a company statement. "The growing average-loan balances for millennials, combined with stable delinquency rates, indicate that we are still in the midst of a strong auto-lending environment." What are millennials looking for in used cars? For starters, they want a wide selection. These young people are often on the hunt for something that fits their specific needs, so being able to browse through many options for the right automobile is a priority. They also want to work with people who are going to be honest. Most millennials value transparency, and they will take their business to a facility that's going to provide them with the best deals and less red tape. Luckily, many of these drivers can find just what they're looking for at New Jersey State Auto Auction. In addition to the hundreds of Carfax-certified used cars the lot boasts, it also has an easy-to-understand auction process and plenty of financing resources. Drivers of any age can appreciate these features and take advantage of them on their way to a purchase. Used cars can be an incredibly smart investment, but drivers need to be able to find a deal they're comfortable with. After all, not all buyers can afford to throw down a wad of cash and drive off the lot without any future payments – in fact, very few people can do this. That's why securing a manageable loan is so important. Experian Automotive recently conducted a study exploring how many people needed a bit of financial help affording their next purchase. According to the report, more than half of used cars purchased in the fourth quarter of 2014 – about 55.2 percent – were bought with the help of financing. Not only is that a record high, but the average loan amount increased as well. Experian noted that this figure grew $437 to $18,411. 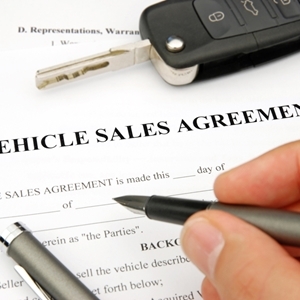 Additionally, the report stated that loan terms for used vehicles also increased, reaching an average of 62 months. That's in spite of the fact that the average credit score for buyers climbed about two points to 648. All of this information gives prospective buyers a lot to think about, as they'll have to find a plan that balances loan length, interest rates and total monthly payments. "As more consumers lean on financing, it's important for them to consider all of the factors involved, including monthly payments, interest rates and loan terms," said Melinda Zabritski, Experian's senior director of automotive finance. "These insights will enable them to have a better understanding of their potential payment obligation and take the appropriate action in order to make the vehicle fit within their monthly budget and more easily meet payment terms throughout the life of the loan." It may take time for you to select the financing option that's right for you. However, you can speed up the process with the help of NJ State Auto Auction. This lot boasts hundreds of Carfax-certified used cars for sale, but the real value may be in its on-site financing department. This team can help you get credit approval quickly, and you can even start the process online to save time. Many of these experts have experience dealing with extreme situations and tight budgets, so you'll be in capable hands – and may find yourself behind the wheel of a used car sooner rather than later. Now that the calendar has finally turned to March, it's time to think ahead to spring. While you may be looking forward to baseball season, March Madness and perhaps even a much-needed spring cleaning, you shouldn't neglect your car. "Your car has been through a long winter, working overtime in harsh conditions, but factors such as extreme cold, potholes and road salt have taken a toll," said Rich White, the executive director of the Car Care Council. "Most Americans rely on their vehicles nearly every day to get to work, school and everywhere in between, so taking the time for car care now can save headaches and money in the long run." Do you think your car needs some TLC to start the spring? 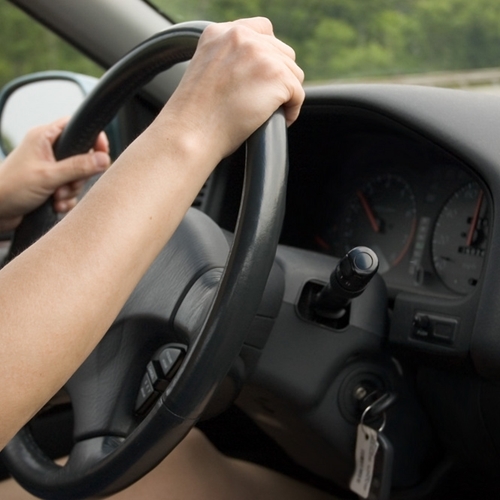 Follow these tips to make sure you're staying safe and saving money behind the wheel. During the transition from winter to spring, you'll need to invest in some preventative maintenance for your car and perhaps even a bit of auto repair stemming from problems caused by the colder months. A quick tune-up can ensure your brakes, battery and tires are in good shape after handling lots inclement weather. You'll also want to double-check the windshield wipers and fluid levels to guarantee you're ready for spring conditions. One of the most important things you can do as a car owner is keep your vehicle clean. Use springtime as a reminder to care for the interior and exterior of your car. It should start with a thorough washing and waxing. This will remove any road salt or similar corrosive debris from the outside and undercarriage of the vehicle, which can prevent rusting and other damage. Waxing will also protect the outside from the heavy rains that often take place during spring. Maybe this winter was harsh on your current ride and hindered its performance. If that's the case, it may be time to upgrade to a high-quality used car. Head over to New Jersey State Auto Auction to browse through hundreds of Carfax-certified used cars and select the one that's right for you. You can take advantage of low prices, the driver-friendly auction process and the in-house financing department to find a vehicle and repayment plan that are easy on your wallet. There are many reasons why your credit score may be less than stellar. For many people, the hit to their credit history may be the result of a divorce. With legal fees to pay and a new home to outfit, you've likely been spending a lot of money, and you may even be trying to balance these expenses with past debts. All of this activity can wreak havoc on your credit, putting you in a tough position when shopping for used cars. Luckily, you aren't out of options when it comes to securing auto financing and getting behind the wheel. Focus on these areas when you're trying to get your finances aligned after a divorce. 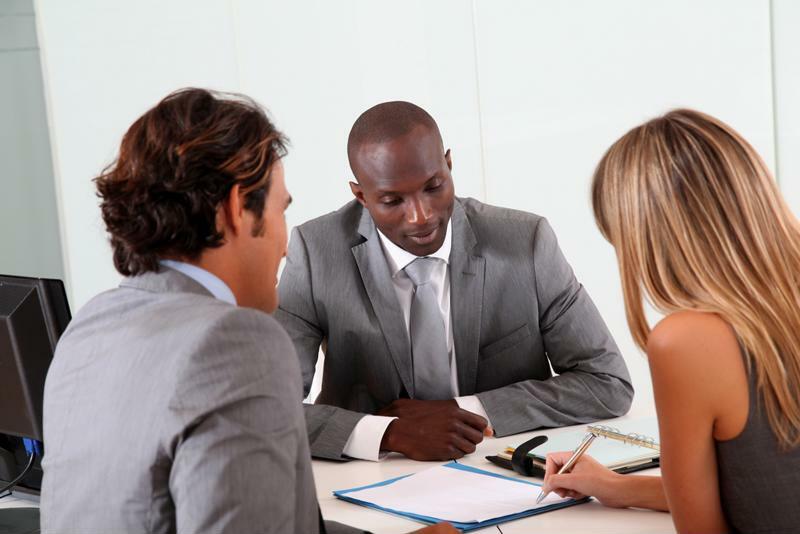 One of the most basic things you can do is explain to the seller or lender why you're in a certain situation. Edmunds.com recommended studying your credit history to see if there are any dips or problematic areas you can account for in a discussion. The source also stated that credit scores aren't the only factor considered when finalizing the terms of a loan, so be sure to provide an explanation of your current situation. "If you understand the details of your credit history before speaking with a lender, you'll be able to make a stronger case for your qualifications as a borrower," said Emma Johnson, a personal finance expert. "Worst case scenario, if you are forced to accept a loan with a high interest rate, you can always refinance or buy another vehicle under better terms in a few years when you are back on your feet and your credit has improved." When you're heading in to meet with the financing department at NJ State Auto, you should have certain monetary concerns covered. For example, make sure you carry proof of your income from after the divorce. You may have to explain your new financial situation, and having evidence makes your job much easier. It could be beneficial to budget for a larger down payment as well, as this could make you a more attractive candidate. You should also take a look back at your debts to determine if there are any steps you can take to separate yourself from the loans. Identify any debts that are the responsibility of your ex-partner, and consider working with him or her to remove your name from these sums. Similarly, you need to take your name off the title and insurance of your old vehicle, which will get you ready to make a purchase. Used cars are a smart investment for many different reasons. Not only are they great options for people who may be strapped for cash, but they're also worthy purchases for anyone concerned about the value of their automobile. That's part of the reason Consumer Reports recently issued a report regarding some of the best used car options for drivers. "Consumer Reports has long advocated buying used as a way to get the biggest bang for your buck," the report stated. "It's simple math: After one year, a new car has depreciated 27 percent of its sticker price; after three years, it's worth barely half of its sticker. When someone else takes the ­depreciation hit on the car, you benefit." As part of the report, which covered all aspects of the auto industry, Consumer Reports focused on some of the top brands. It chose its winners based on reviews and ratings of each vehicle's reliability and performance. Consumer Reports named Lexus as this year's top brand. The luxury company bested second-place Mazda thanks to its superior road-test results. Coming in behind those two automakers were Toyota, Audi and Subaru. Each of these brands creates a solid range of models year in and year out, and their older vehicles may be quality investment options for buyers. The report also listed the highest rated vehicles for different price points. For small used cars under $10,000, Consumer Reports suggested the Pontiac Vibe from 2005 to 2008, the 2008 Mazda3 and the Volkswagen Rabbit from 2007 to 2009. It also had several options for affordable used sedans. The Acura TL and Acura TSX from 2005 were top choices, along with the 2005 Toyota Avalon. Drivers could even get quality SUVs within this budget, with the 2005 Honda CR-V, 2007 Mitsubishi Outlander and 2005 Honda Pilot earning praise. New Jersey State Auto offers a number of great used cars for less than $10,000. Drivers who are trying to stick to a budget can head to this facility and browse through a wide selection of quality used cars that are still affordable. The auction lot also has its own financing department, which can help you secure a loan and get behind the wheel of the car you want regardless of the price tag. Used cars offer plenty of perks for the drivers smart enough to invest in them. Many of the models on the market boast advanced technology, great handling and impressive fuel efficiency. However, there's always more you can do as an owner to make the mileage a bit better – and as a result, keep money in your wallet. "Gas prices are lower than they have been for nearly six years and that means big savings for motorists," said Rich White, the executive director of the Car Care Council. "Add to that a proactive auto care plan and you will not only save more now, but as gas prices start to rise again, you'll save later. All because you invested in your vehicle to make sure it runs efficiently." Here are three areas of car maintenance that need to receive attention if you want to boost fuel efficiency. Don't be afraid to ask a facility like NJ State Auto about these parts or check them out yourself before buying a used car. When your tires are inflated to the right level, your fuel efficiency is optimized. In fact, the Car Care Council reported that this one move could improve mileage by up to 3.3 percent. Check out your owner's manual to see what the manufacturer recommends for each season. You may need to adjust based on the current weather, but simply monitoring the tire pressure throughout the year could result in big savings. If you're not sure about all of the goings on under the hood, caring for air filters may slip your mind. That would be unfortunate, as this one part plays a big role in fuel efficiency and even acceleration. Make sure you're cleaning and replacing these parts regularly. Not only will this make your fuel tank last longer, but it could also improve the overall driving performance of any car. Oil changes need to happen regularly. Most vehicles need an oil change every few thousand miles, but it should also occur before winter and summer, as the seasons typically require a special blend of oil to be the most effective. According to the Car Care Council, using the grade recommended by the automaker also makes a big difference, improving fuel efficiency by about 2 percent.